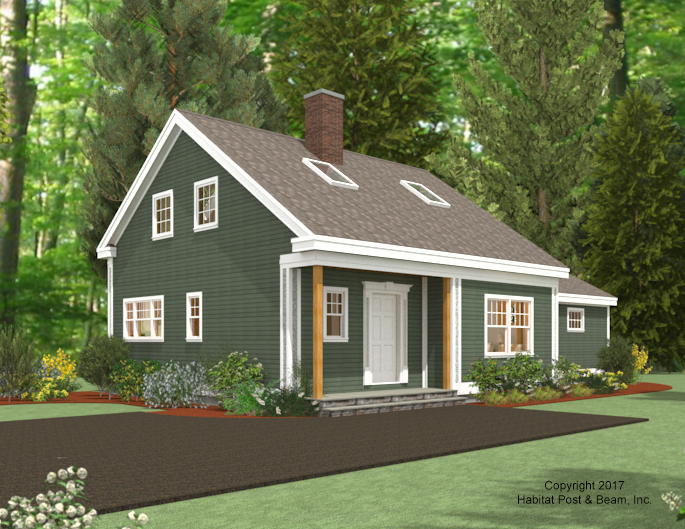 From our popular Nantucket series (http://www.postandbeam.com/plans/filtered?type=houses&houseDesignGroup=capeHomes&keywordSearch=), this efficient, Cape-style home is currently being built on Martha’s Vineyard, MA. The main level is about 1250 sq. ft., and uses our Full Exposure Wall System throughout (http://www.postandbeam.com/wall-framing-system). 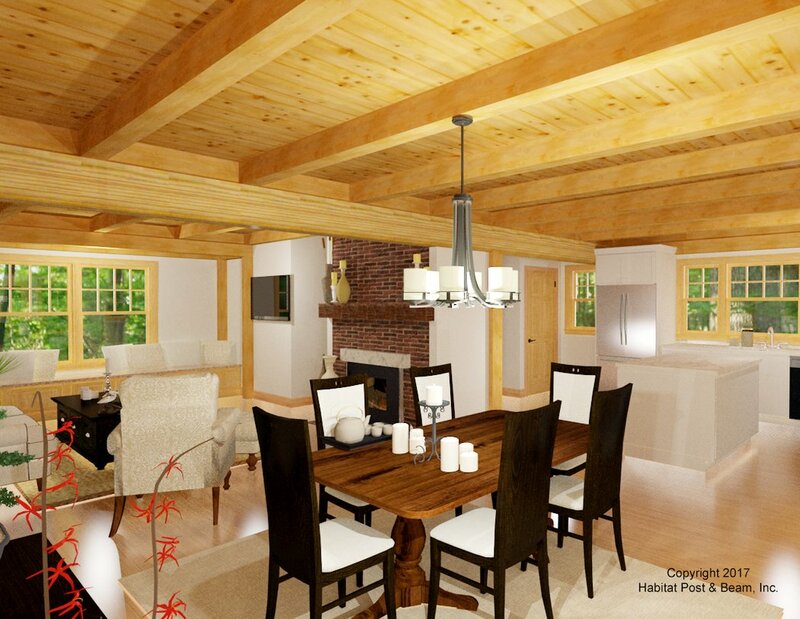 The main section of this level has an open floor plan surrounding a central wood fireplace, with the living and entry/hall stairs to the front, and the kitchen and dining areas to the rear. 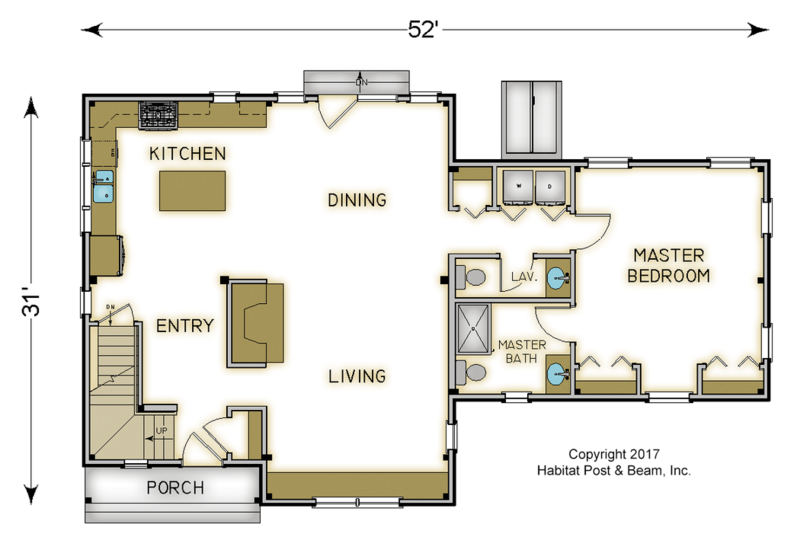 An ell off of the right side uses a hallway flanked by a half-bath and laundry room to lead into the master bedroom suite, which has a Plaster and Accent Beam cathedral ceiling (http://www.postandbeam.com/roof-framing-system). 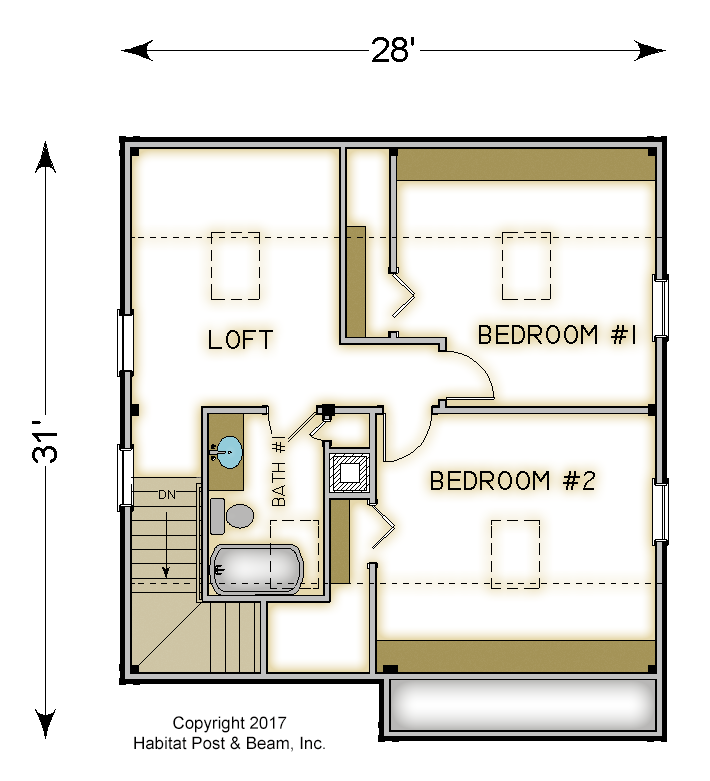 Upstairs is about 670 sq. ft. with a sitting area at the top of the stairs, two additional bedrooms, and a full bath, all under a Plaster and Accent Beam cathedral ceiling. Package Price: $119,500 as specified below (from $113,000 to $142,000 depending on framing options). The standard price includes our Full Exposure Wall System, Plaster and Beam or Beamed Mid-Floor System (same package price), and our Plaster and Accent Beam Roof System. The entry porch is our Liner Porch System with a flat ceiling.